Have Penrith Regional Gallery's monthly What's On newsletter delivered direct to your in-box! 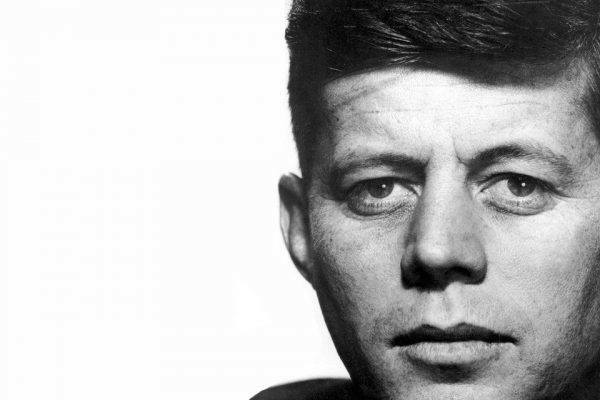 Explore the genius of two visionaries through the life and times of John F. Kennedy in American Visionary, and the creative engagements of Richard Goodwin, Australian sculptor, architect, author and artist. This Winter, view the work of major Australian artist Richard Goodwin at Penrith Regional Gallery & The Lewers Bequest. The exhibition brings together select artworks, sculptures, drawings and models produced over the past 25 years. Architect, artist, author and Professor of Sculpture at UNSW Art and Design, Goodwin’s practice has long concerned architecture and technology, machines and the human form. He describes his gallery practice as existing between public and private space and calls into question our relationship with built environments. Extraordinary large scale drawings alongside alien machine constructions, promising danger and speed. View Goodwin’s real and imagined architectural models, exploding bikes and cars which call into question the relationship of humanity to the built environment. American Visionary: John F. Kennedy’s Life and Times is a window into the life and times of one of the most admired and charismatic figures of the twentieth century. As part of the centennial celebrations of the birth of United States President, John F. Kennedy, Penrith Regional Gallery & The Lewers Bequest in association with the John F. Kennedy Library Foundation and WS Productions, presents American Visionary: John F. Kennedy’s Life and Times. This exhaustively researched exhibition contains 77 photographs of JFK, from childhood through to his untimely death in 1963. Photojournalist and exhibition organiser, Lawrence Schiller, stated the exhibition records ‘a unique moment in American history,’ taking place during the ‘golden era of photojournalism’. The exhibition was recently opened in Washington at the Smithsonian American Art Museum by the President’s daughter Caroline Kennedy. American Visionary is being exhibited concurrently across the world. Penrith Regional Gallery is honoured to be the first Australian Gallery to show these collected photographs, with expanded curatorial captions. This exhibition is made possible with funding from the United States Government. This forum will feature talks from Professor of History, James Curran, Research Associate, US Studies Centre, University of Sydney and Stephen Loosley AM, Visiting Fellow, US Studies Centre, University of Sydney. This forum will feature Professor Michael Ondaatje, National Head of the School of Arts (Faculty of Education and Arts), Australian Catholic University who will address JFK and the civil rights movement, and Dr Anna Lebovic, Research Associate and Lecturer, US Studies Centre, University of Sydney, who will examine the influence of Jackie Kennedy as fashion icon and First Lady. To attend the opening or to participate in a public forum please RSVP to The Gallery 4735 1100.